Baby is 1 1/4″ long and now has fingers, toes, and nails. 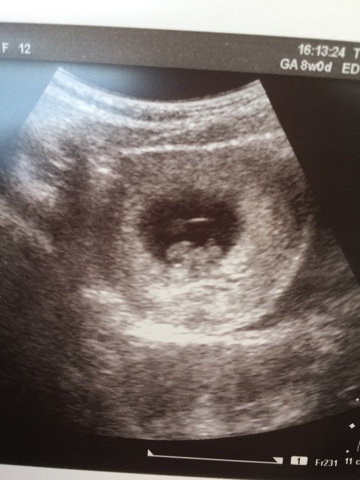 He or she has a developing brain and organs and is basically the tiniest little nugget of a human. I’m SO excited! I’ve been crying since the first week of December. Oh and sick. So yucky sick, more than with Rose or Finn. But I’m just so happy! Yeah! 2 more weeks until the glorious 2nd trimester.